Halloween is really an outdoor holiday for the most part. There's hay rides, pumpkin patches, and of course, trick or treating. But what do you do when you live somewhere it's super cold and snowing on Halloween? That's how it was for me growing up. We lived in NORTHERN Maine where you didn't even need to bother wearing a costume since it would be covered in a snowsuit anyway. My kids are lucky that qthey haven't had to deal with that extreme, but some holidays it s pretty cold. So when they are done trick or treating, we do like to come home and have a tall glass of hot chocolate while going through the "haul." This year, I think we'll add a new tradition and spend the time winding down with our hot chocolate and a game of dominoes. And what better way to play dominoes than with a set of printable Halloween Dominoes which are fun to play and easy to make? It's a simple matter of downloading the file, unzipping it, and printing off the 7 pages of dominoes. Then, cut them out...and play! 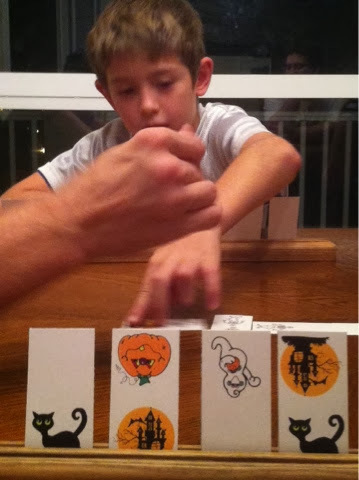 These Halloween Dominoes are super cute too! 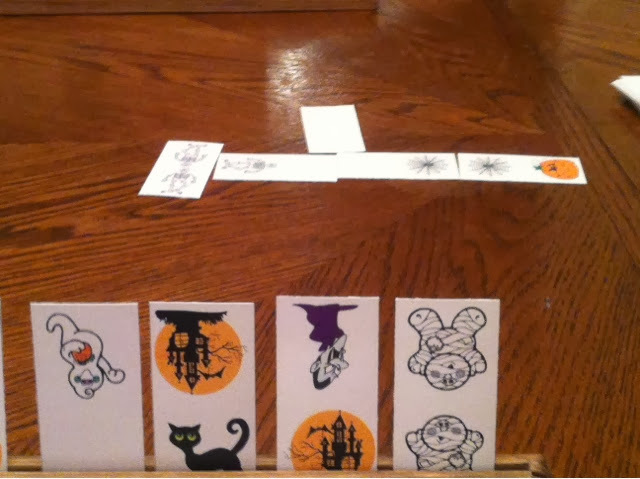 They have ghosts, witches, scarecrows, black cats, draculas, skeletons, pumpkins, and a blank dominoe. These are all perfect for little kids since the graphics are fun and not scarey. This would be the perfect game to play at a Halloween party or to wind down a full day of fall festival activities. 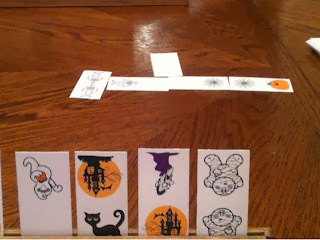 If you want to make a set for your monsters, you can download the Halloween Dominoes HERE for free. This looks like so much fun! Thanks so much for sharing! Oh this is a great idea! My daughter would LOOOOVE this! Cute idea! Thanks for linking up to The DIY'ers! Thanks for joining the Link Up this week! Don't forget to enter the giveaway!